He's running for mayor of Halifax. "The reason I got into politics was to convince Halifax Council that we need a program to deal with the cat problem in our municipality. My brothers and sisters are starving, freezing to death in winter and reproducing at an alarming rate. We need a program to address these problems. We need a low cost spay and neuter clinic. We need a comprehensive Trap-Neuter-Return and Care program. We need a sanctuary for homeless strays to live out their in comfort. WE NEED A MAYOR WHO CARES...BECAUSE NEGLECT ISN'T WORKING!!! Vote Tuxedo Stan." Stan can't legally become mayor, but that hasn't stopped him from garnering a small but passionate following in the Halifax community. If he's lucky, he might end up like Honorary Mayor Stubbs of Talkeeta, Alaska. 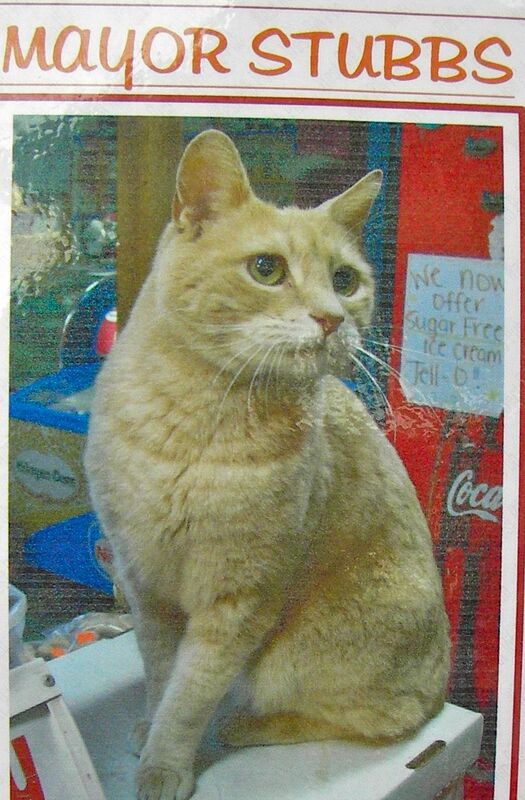 Stubbs, a fellow feline, was elected by the 900-person historical district 15 years ago. He remains a well-loved political figure.